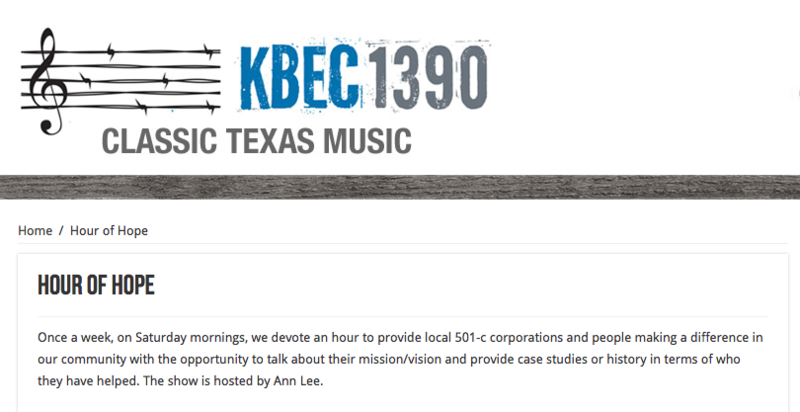 Earlier this month, KBEC Radio 1390 host Ann Lee brought Shari Phillips, Rev. Samuel Baker, Shelley Miller and Jen Heggland in-studio for her Hour of Hope show. These IMPACT Waxahachie, Ennis and Smoke-Free Ellis County coalition coordinators make us proud. We're grateful for their servant hearts!